Traders work on the floor of the New York Stock Exchange (NYSE) in New York, U.S., September 6, 2017. U.S. stocks were set to open little changed on Friday, with investors shrugging off North Korea’s latest missile test and an unexpected drop in domestic retail sales in August. Pyongyang fired a second missile in as many weeks over Japan, an action that drew widespread criticism from global leaders, but barely moved shares and other risk assets. “I think the market is kind of getting desensitized to that,” said Scott Brown, chief economist at Raymond James in St. Petersburg, Florida. U.S. retail sales unexpectedly fell last month, following a strong reading in July, a Commerce Department report showed, suggesting a moderation in consumer spending in the quarter. But the reading may not be very accurate indicator since the impact of Harvey could not be isolated. For instance, auto sales tumbled last month, but could get a boost from replacement of flood-damaged vehicles. Two more reports, one on consumer sentiment and another on industrial production, are due later in the day, with investors keen to see if they will provide better clues with respect to the future path of interest rate hikes. At 8:33 a.m. ET (1233 GMT), S&P 500 e-minis ESc2 were down 2.5 points, or 0.1 percent, with 217,051 contracts changing hands. Nasdaq 100 e-minis NQc2 were down 6.5 points, or 0.11 percent, in volume of 38,230 contracts. Dow e-minis 1YMc2 were down 7 points, or 0.03 percent, with 25,614 contracts changing hands. 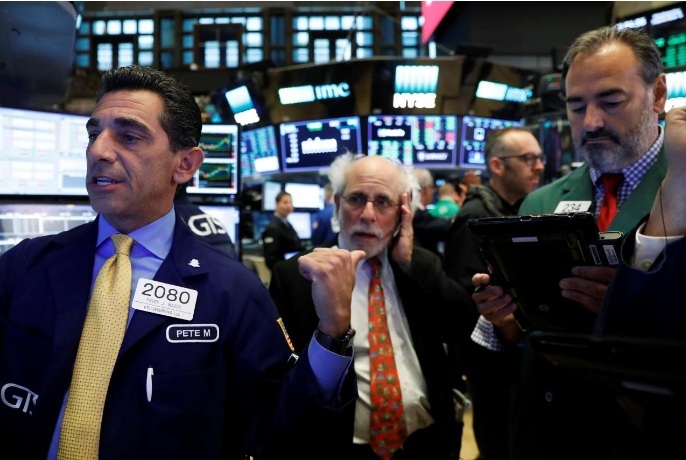 Wall Street ended mixed on Thursday, with the benchmark S&P 500 falling as domestic consumer prices grew at their briskest pace in seven months, increasing the odds of a third interest rate hike this year. Federal Reserve policymakers will meet on Sept. 19-20 and are widely expected to leave rates unchanged and announce their plan to unwind the central bank’s massive bond holdings. Volatility may rise on as Friday, which marks the quadruple witching day, when investors unwind interests in futures and options contracts prior to their expiration. Among stocks, Oracle’s shares fell 3.77 percent in premarket trading due to the company’s disappointing profit forecast and indications of a slowing cloud business. United Continental, Spirit Airlines and American Airlines fell between 2.25 percent and 1.81 percent after JPMorgan downgraded all three stocks. Consumer sentiment likely dipped in September to 95.1 in from 96.8 in August, a preliminary reading from University of Michigan report is expected to show at 10:00 a.m. ET. A Federal Reserve report at 9:15 a.m. ET is expected to show industrial production increased 0.1 percent in August, after rising 0.2 percent in July.